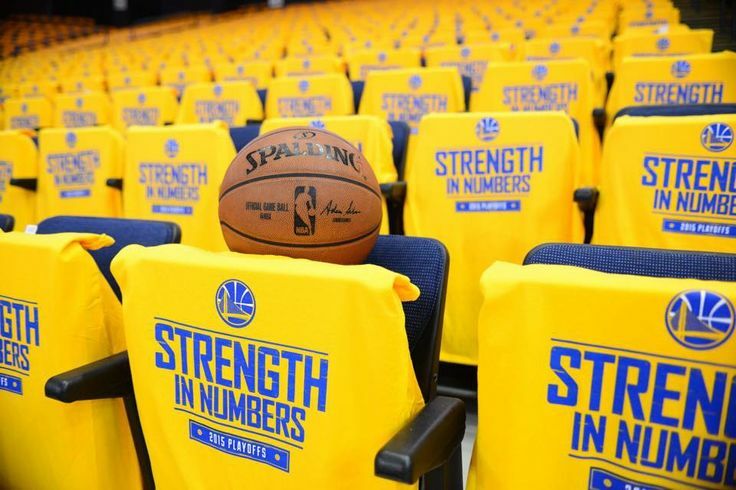 The roar of the crowd can be deafening- A sea of bright yellow shirts, donning the phrase “Strength in Numbers” harnesses the torso of seemingly every Warriors fan as they watch from the stands. Having been through a 40 year title drought, Oakland, CA has embraced their NBA team’s success with a fervour. Sunday night, Game 2 of the NBA Finals was played. Well…I use the word “played” loosely. The Cavs showed up for about 16 minutes. I have no clue what happened the other 32. Cleveland held a slim 28-22 lead early in the second quarter when everything began unraveling. Countless Warriors beat their defender back door to the cup for a lay up or dunk. Draymond frickin Green hit 5 bombs to the tune of 28 points. The Cavs shot a tepid 35 percent from the field. The once lethal from deep team managed only five makes from downtown. LeBron James turned the ball over seven times, and was caught looking visibly frustrated at times from the bench. Somehow the Cavs managed to get their bleeps kicked for the second straight game, despite another pedestrian performance from the Splash Bros. They combined for 35 points, both playing limited minutes. What can Cleveland hope for going forward? Will the confines of Quicken Loans Arena and their own home cooking change this series’ course? Can they muster a win despite looking heavily over matched the first two games of this series? I hate the knee jerk reactions of today’s sports media. It seems like the events that follow every big game are something to the tune of, “is this team done” or “is this series over.” I don’t want to espouse useless conjecture in efforts to attract clicks or eyeballs. The truth is, nobody knows if this series is over. Wednesday night at the conclusion of Game 3 we may have more answers when it comes to the complexion of this series. At this point, after two games in Oakland, all we know is the Warriors still have home court advantage. What happens if Cleveland holds serve at home? What then? Are they still done? People seem to be forgetting that they still do have LeBron James on their side. He did, after all, manage two wins last year with far less help. Let’s wait a few more days before we stick a fork in the Cavs. We were all witnesses to the Warriors being pushed to the brink less than two weeks ago. The Thunder throttled GSW in Games 3 and 4 of the West Finals. It was the Warriors who were “done” following 4 games of the previous round. We all saw the final three games of that series and what ensued following the Warriors falling behind 3-1. Cleveland can make adjustments- Kyrie Irving can play a more under control brand of ball. He doesn’t have to try to put everyone on skates and drop midrange Js. Here’s an idea: try running the offense. The penetrate and kick style that generated so many open looks from deep has been abandoned in favor of an iso heavy style. It hasn’t worked. At all. Tristan Thompson can assert himself as the man in the paint and control the boards. There isn’t anyone so imposing on the opposing side that Thompson isn’t capable of controlling the lane. The Cavs need his offensive rebounding and presence desperately if they are going to turn the tide. 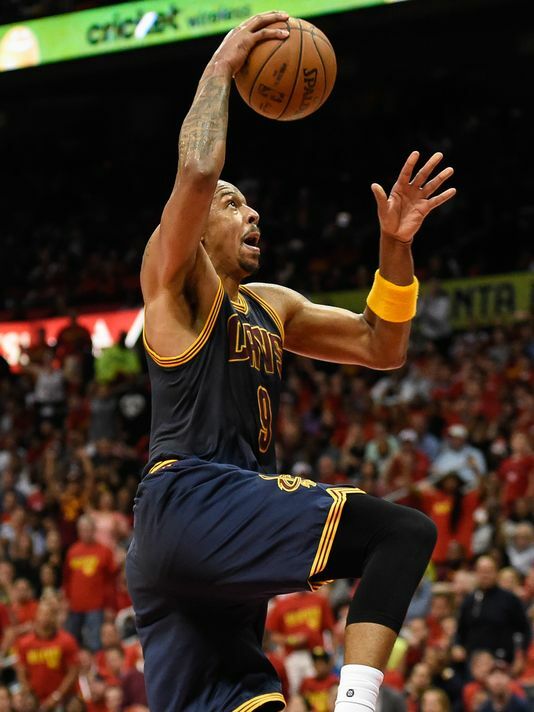 Cleveland can give Channing Frye more than ten minutes a night. They can give Timofey Mosgov more than mop up duty. Cleveland can start playing D and STOP SWITCHING all screens. The aren’t as defensively versatile as OKC, they can’t switch every pick the way the Thunder did. They have to fight through every pick. They have to be physical, almost overly so. The lack of free throw attempts for Golden State only further illustrates the Cavs shortcomings on D.
What they can try to take from OKC is the use of a big lineup. At this point, its time to start tinkering and see if anything sticks. Lue has to be willing to take chances and find mismatches. JR Smith can come alive under the lights of his home arena and start dropping bombs in typical JR Smith fashion. He has a nasty floor burn on his shooting hand, which could be a big reason for his lack of FGA’s. There are things schematically that can be done. I could write forever with suggestions or thoughts on what they should do. At the end of the day it is up to Ty Lue and his staff to MAKE ADJUSTMENTS. Lue may be a “player’s coach”, but thus far from an X’s and O’s standpoint, he seems lost. I am rooting for competition. While I am a Warriors fan and have become somewhat obsessed with their brand of ball, I don’t like the lack of competitiveness I’ve seen the first two games. I am hoping for Cleveland to pick its collective psyche off the mat and come out swinging Wednesday night. From a fan standpoint, for a quick, uneven Final series to be the punctuation mark on the West Finals feels anticlimactic. Cleveland, its gut check time. I've been around basketball for over 30 years. Whether it was as a player, coach, or just as a fan, I have been consumed by the game since I was a small child. I love football and MMA as well, but basketball is number one in my heart.